Despite the loss Will Haueter recorded his eighth multi-hit game of the season. 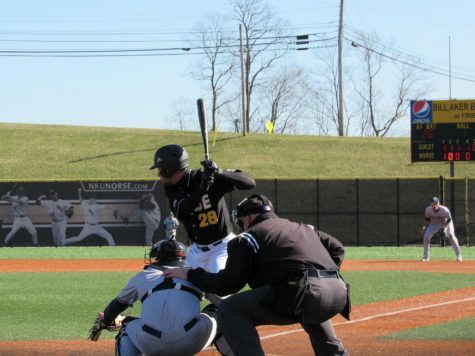 Cameron Ross delivers a pitch to a Wright State hitter. At the plate, catcher/outfielder redshirt senior, Will Haueter batted 2-for-3. 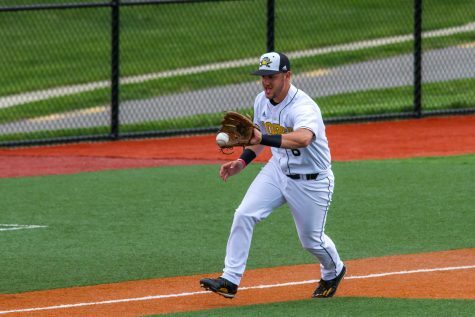 Infielder sophomore, Andrew Bacon followed closely behind batting 1-for-3. Outfielder redshirt freshman, Sam Hedges batted 1-for-4 scoring one run and outfielder junior Jake Murray also went 1-for-4 as well. 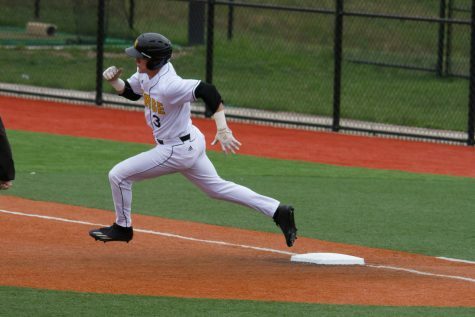 Shortstop freshman Noah Fisher got to walk three times during the game and scored one run. 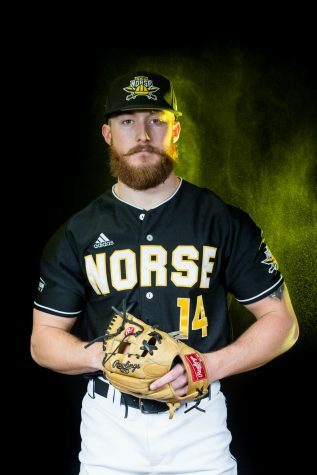 On the mound, freshman pitcher, Proctor Mercer started the Norse off defensively and pitched for 4.1 innings. He allowed four runs on six hits along with three walks and struck out four hitters. 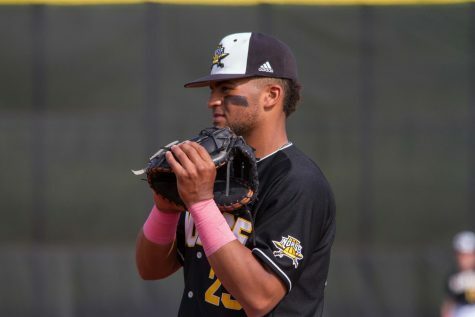 Redshirt senior pitcher Cameron Ross pitched during the final two outs of the fifth inning and allowed one run on a hit and a walk but managed to strike out one batter. Freshman pitcher Noah Richardson was able to pitch a scoreless seventh inning. He struck out one batter without giving up a hit or a walk. 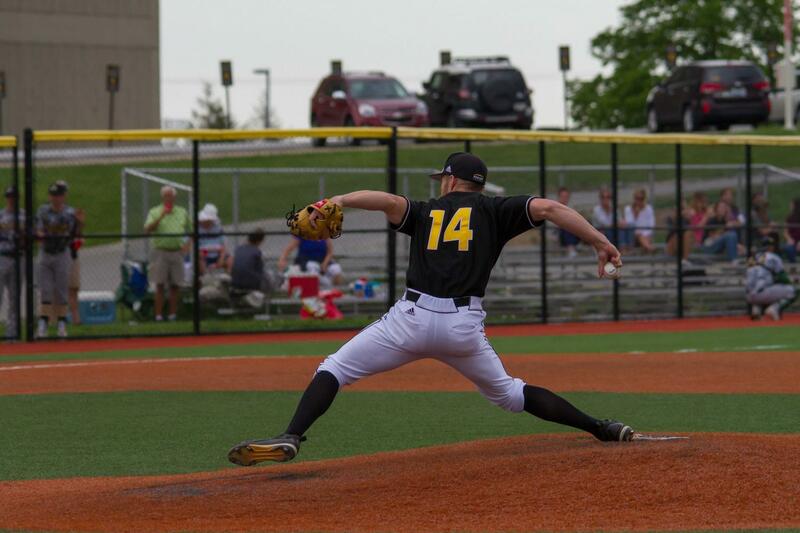 Sophomore pitcher Kaleb Meeks allowed four runs on a hit as well as two walks, he also struck out two batters. Freshman pitcher, Tyler Ollier ended the night with two runs on a hit as well as three walks and struck out one pitcher. The Cardinals took an early 1-0 lead in the first inning and by the third inning had a 2-0 lead over the Norse. The Cardinals managed to keep the Norse runless until the fifth inning. 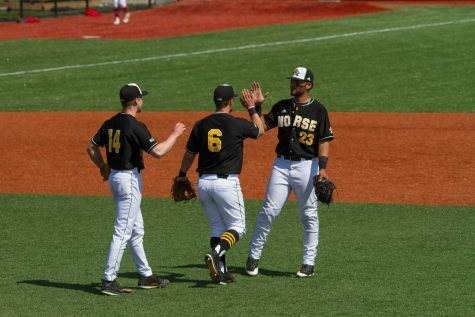 The Norse’s first run was accomplished by Fisher after he reached first base, followed by third after a throwing error by the Cardinals and finished off with a run after an RBI single by junior infielder, Collin Luty. At the bottom of the fifth, the Cardinals scored three more runs, bringing the score 5-1. 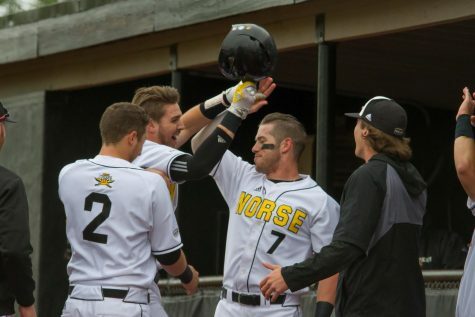 The Norse scored once again at the top of the sixth inning with a run by Hedges. He was first up to bat and managed to get on first base. He was moved to second after Haueter was hit with a pitch. The bases were loaded after Bacon hit an infield single. Hedges was able to cross the plate after a wild pitch from the Cardinal’s pitcher. The Cardinals scored their last six points with four runs in the seventh inning and two more in the eighth inning bringing the score to 11-2. 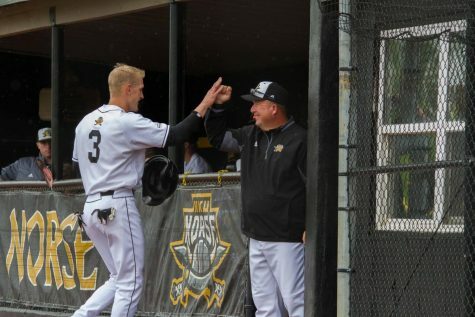 The Norse were unable to score again after the sixth inning. The game came to an end after the top of the ninth inning. Overall, the Cardinals had a 9-5 advantage over the Norse in hitting. 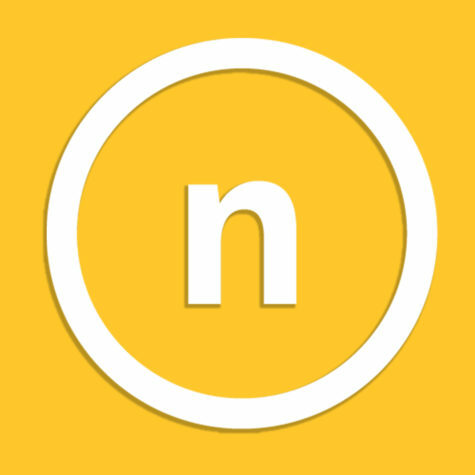 The Norse also committed three errors compared to the Cardinal’s one. On a more positive note, Haueter was able to record his eighth multi-hit game of the season. 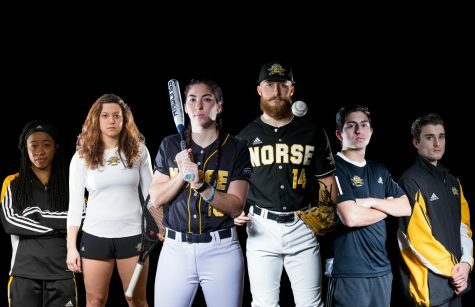 The Norse will return home on Wednesday, April 10 to take on the Eastern Kentucky University Colonels. The first pitch is scheduled to be thrown at 3 p.m.